The P3 Power Boost - Your Source for Vision, Power, Passion & Purpose! 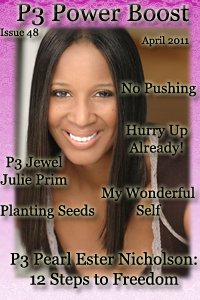 Join The P3 Power Boost Mailing List to receive the latest issue of the P3 Power Boost Magazine, hear from our P3 Pearls of the World, read inspiring articles plus life/business coaching tips etc. 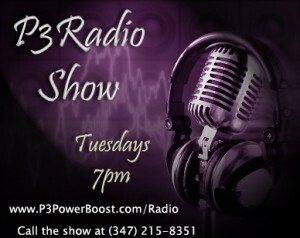 Join us on March 1, 2011 at 7pm for the next inspiring episode of the P3 Power Boost Radio Show! 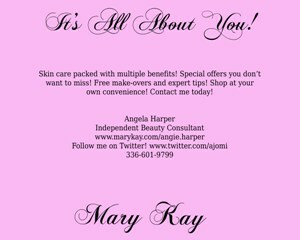 Click here for more information and upcoming guests! Are You Looking for More Power, Passion & Purpose in Your Life? Do You Want a Clear Vision and a Pathway for Fulfillment? Here’s what our clients say they’ve received from being coached by The Power, Passion and Purpose Group! I have learned that the power to resolve issues lies within me – not with changing the other person. I have learned how to look into my innermost soul, just to rediscover myself and my sensuality. I am enjoying a whole new type of womanhood. Hi great page you have here. I attend a Bootcamp in Sydney and I am continuually looking for interesting information to pass on to my bootcamp instructor. He has a bootcamp sydney blog which you can browse and catch some of the things we do and things to see in Oz 🙂 If your ever in Sydney Australia, our main camp is in Pyrmont, which is close to the CBD. Cheers mate!